Get ready for the holidays and cookie exchanges with these amazing little No-Nut Butter Blossom Cookies that are nut free, egg free and gluten free! These are a fresh little take on the old familiar Peanut Butter Blossom Cookies. But be prepared, they do not taste like peanut butter or sunflower seed butter, rather they taste more like a sweet, soft sugar cookie topped with chocolate. This allergy friendly, gluten free cookie is lightly flavored and highly addictive. One might even say that your eating your vegetables by eating these cookies...What?!!! No-Nut Butter by The Sneaky Chef is what replaces the peanut butter. No-Nut Butter is made with golden peas (legumes)! Who can feel guilty about eating your veggies?! Do NOT tell my son that these cookies have veggies in them. Right now he LOVES them but I'm afraid if he knew the little secret, he might change his mind. So mums the word! We eat a lot of sunflower seed butter in our home (prior to ordering the No-Nut Butter) and whenever I've tried to make cookies with sunflower seed butter, they turn green a couple days later. I am happy to report that these cookies made with No-Nut Butter do NOT change color. It works great in baking! No-Nut Butter is available online on NetGrocer.com and a few Whole Foods stores on the east coast (they are hoping to expand to more Whole Foods stores soon). This past weekend I was honored to be invited to do cooking demos at the Annual Anaphylaxis and Food Allergy Association of MN (AFAA) Conference & Expo. I made Pepperoni Pizza Rolls, showing how the bread dough also makes the Best Gluten Free Vegan Bread and Cinnamon Raisin Bread and also these cookies. Doing the demo is so much fun, I feel like a little girl playing in a play kitchen and I love sharing what I've learned over the years with attendees. 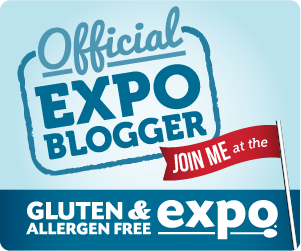 The conference speakers were top-notch and it was great connecting with others in the food allergy community. 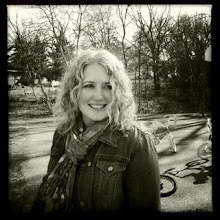 If you were at the conference this past weekend and are new to my blog, WELCOME! I'm so glad you came by to visit. If you would like to stay up to date, "like" my facebook page and we will stay connected. If you got one of the No-Nut Butter samples, I'd love to have you comment below and let us all know what you think of it. 1. Preheat oven to 375 degrees. Prepare flax meal whisked with warm water in small bowl and set aside. 2. In mixing bowl, combine sugar, brown sugar, butter and No-Nut Butter. Mix until creamy. 3. Add flax gel, salt and vanilla to mixing bowl. Mix until creamy. 4. In a medium bowl, combine gluten free flour mix and baking soda. Whisk them together, then add the mixture to the mixing bowl. Mix on low until fully combined. 5. Roll dough into 1 inch balls. Roll dough balls in sugar and place on ungreased cookie sheet 2 inches apart. 6. Bake 9-10 minutes or until lightly golden. 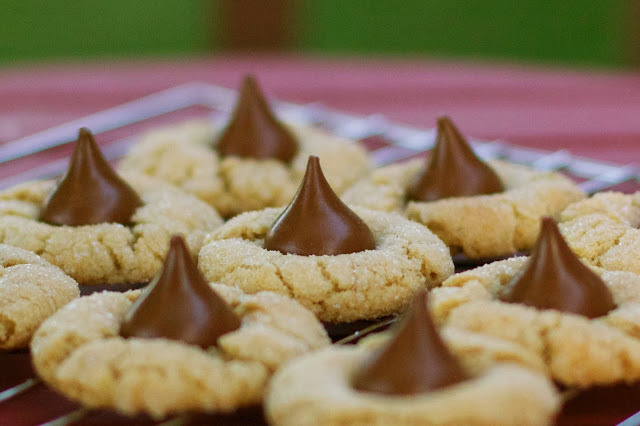 Remove from oven and place one unwrapped kiss in the center of each warm cookie. Allow cookies to cool a couple of minutes on cookie sheet before transferring them to a wire rack to finish cooling. Makes 35-40 cookies (depending on how big your dough balls are). I was so happy to see your blog in my reader! And these cookies totally get me into the change-of-seasons mood! where can I purchase No Nut Butter in Maryland? I couldn't find any order/purchase info on the website. Thanks! Otherwise, I ordered mine online through NetGrocer.com. Good luck! Hopefully, the company will keep growing and they will be in stores nationwide soon. I have seen The Sneaky Chef's spaghetti sauce in Target, so hopefully the No-Nut Butter won't be too far behind.